Electric Vehicles - Sierra Club: "Each year, American passenger cars and trucks spew upwards of three trillion pounds of carbon pollution into the air by burning 121 billion gallons of gasoline. These emissions are from both the vehicle tailpipes and the "upstream" emissions from extracting, refining, and transporting oil on the way to our vehicles. Our dangerous dependence on oil has resulted in catastrophes like the BP spill in the Gulf of Mexico and, every day, we send more than $500,000,000 abroad to pay for oil, increasing our national debt and dependence on many nations hostile to our policies." The All-Electric Car You Never Plug In - IEEE Spectrum: "make drivers’ lives much easier as well. If we embed transmitting coils in roadways, electric cars carrying receiving coils could charge themselves as they zoom down the road. An e-car owner would never have to search for a charging station or plug in the car. That is the goal of our research team at the Korea Advanced Institute of Science and Technology (KAIST), in Daejeon, which has developed what we call the on-line electric vehicle (OLEV) system. The Long Tail Pipe: Elon Musk incites Tesla Motors excitement with tweet about putting his money where his mouth is: "That wiley Elon Musk and his obtuse tweets have caused a stir of attention today. The tweet said there'd be a big announcement on Thursday (now apparently changed until next Tuesday) in which Elon would be putting his money where his mouth is. And I don't think he's talking about stuffing his mouth full of $100 bills." Experts: Electric cars a decade from the mainstream | Detroit Free Press | freep.com: "Electric vehicles are a decade from becoming mainstream, experts said at Tuesday's Megatrends auto conference in Dearborn. 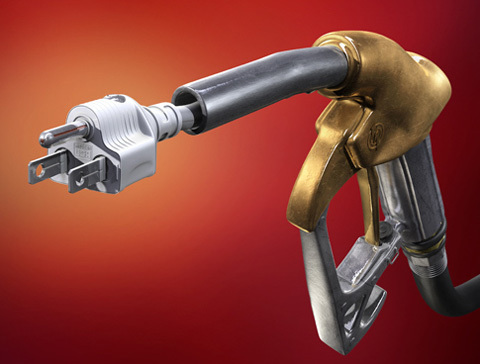 "Continuous improvement in gas engines will continue to push plug-in hybrids and electric vehicles farther into the future," said Michael Omotoso, senior manager, global powertrain forecast, with LMC Automotive"
FACT: Gasoline and diesel are the #1 air pollutants. Fuel additives and tailpipe emissions have been linked to a wide range of health problems, including cardiovascular disease and cancer, and is linked to 6 million deaths per year. 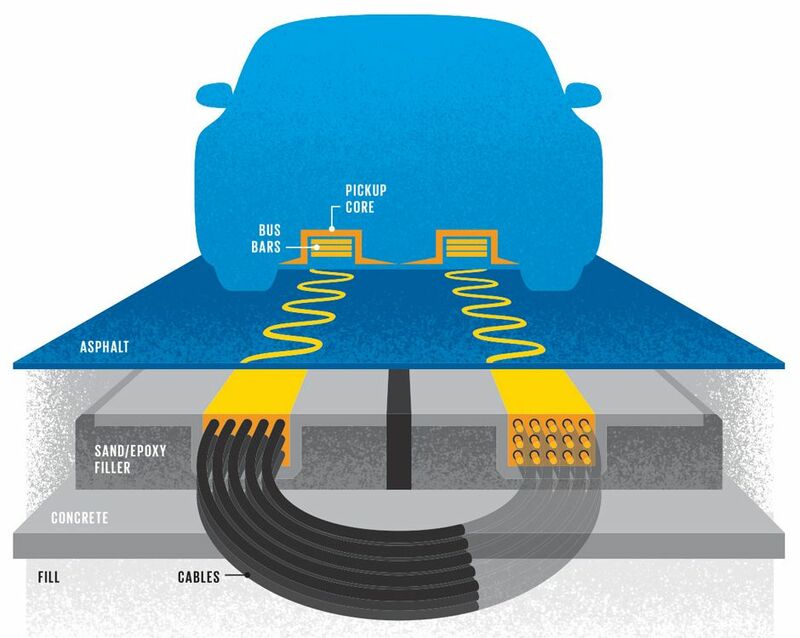 "Evatran announced today, in cooperation with Oak Ridge National Lab (ORNL), that it has been awarded a subcontract under ORNL's DOE Project, "Wireless Power Transfer (WPT) and Charging of Plug-In Electric Vehicles." 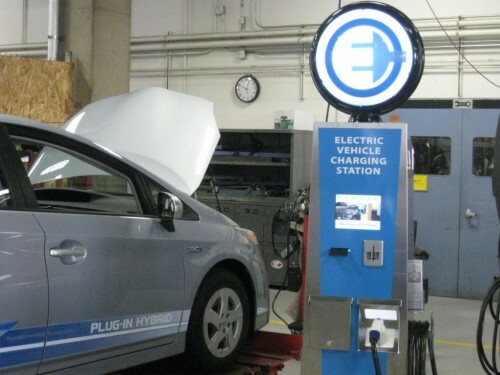 The three-year project, opened in October of 2012..."
2012 Tax Credits For Electric Cars And Charging Stations: "Federal income-tax credit for purchase of a plug-in electric vehicle during 2012 (Form 8936). About 53,000 plug-in electric cars were sold last year, each qualifying for at least some credit." Putting in a plug for the electric automobile | NJ.com: " a bill introduced in the state Senate by Jim Whelan (D-Atlantic) that would impose a fee of 0.84 cents (less than one cent) per mile on all cars to replace the gas tax." Oregon, are you listening? Tax "all cars" for road use, not just the fuel saving ones. Volkswagen chief says fuel-cell vehicles not possible at a "reasonable cost"
A few weeks ago, I went to the Oregon Convention Center for Comicon. I would have taken the MAX, but I knew they had charging there and wanted to drive my electric car. So they earned my business that day and parking revenue by having charging infrastructure. I parked on the lower level at the EV charging station area. It was early and this area (along with most of the lot) was empty. When I returned in the afternoon, the lot was nearly (if not completely) full. There was a Chevy Volt next me me and two gas cars in the other two EV spots. There are only two EVSEs there; they are between spots so they can be shared. However, in this case, the Volt and my car were near one of the EVSEs and the two gas cars were near the other EVSE. This meant that the Volt could not plug in, it was ICEd. I snapped a couple of pictures of the gas cars with my phone and stuck the images up on twitter with the #youcantparkhere #youdontplugin public shaming hashtags and some text saying where this was. Little did I know that these tweets would get the convention center's attention. 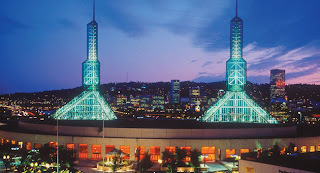 I just talked to the Sustainability Coordinator at the Oregon Convention Center, Erin. They saw them and they were not happy about it. The Convention Center put those spots in to support EVs, but they are, understandably also trying to make money and fully utilize the parking structure. Erin told me that they met with ECOtality to discuss this and find a solution. They are now making some changes to their EV parking layout. Currently, on each level they have 2 EVSEs and 4 EV parking spots. They are planing on moving the EVSEs to an assigned specific spot, rather than between two spots. They will clearly mark each spot as plug-in vehicle only with a ground stencil and a wall sign. This means there will only be 2 EVSEs and 2 EV parking spots on each level now. So EV will have less dedicated parking, but they will *not* direct gas cars to park there when the lot is near capacity as they have been doing in the past and likely did the day that I snapped those pictures. This removes some of the flexibility to share the EVSE (depending on the cord length), but it also means that the EV spots will not be ICE overflow. I like the fact that they have charging there. As I said, it is how they earned my business that day. I also like the fact that they are trying hard to make it work. Erin also said that they want to have an open dialog with the EV community to discuss these issues. You can tweet them at @oregoncc if you want to discuss this or other issues. Let them know if you have ever used their charging stations and what you think. "Electric Vehicles: What You Need to Know"
"An EV uses one or more electric motors for propulsion. Learn more about EVs like the Nissan Leaf, plug-in hybrid electric vehicles like the Toyota Prius and Chevy Volt, EV charging stations and economics of EV ownership." How to turn 6 pounds of gasoline into 20 pounds of carbon dioxide | TerraPass: " The curious (or suspicious-minded) among you have occasionally wondered about our claim that one gallon of gas turns into about twenty pounds of carbon dioxide exhaust. Your high school chemistry teacher would be very disappointed with you for even thinking the question, but there’s no judging here at TerraBlog. Let’s walk through the math. When you burn something, it might feel like you’re turning it into lightness, air, nothingness. But what you’re really doing is simultaneously vaporizing it and chemically bonding it with oxygen in the air. It’s the weight of that oxygen that makes up the difference. Carbon dioxide — or CO2 — is one carbon atom joined to two oxygen atoms. Carbon dioxide. Oxygen is a little bit heavier than carbon, so when you stick two oxygen atoms onto every available carbon atom, you end up with an amount of CO2 that is roughly triple the weight of the gasoline. One gallon of gas weighs about 6.25 pounds. The weight fluctuates with temperature and octane, but this figure is good enough for government work. Let’s pretend that gas is entirely made up of octane (more properly referred to as 2,2,4-trimethylpentane). It’s not, but that also doesn’t really matter for our purposes. Octane contains 8 carbon atoms (hence the oct- prefix, like Dr. Octopus) and 18 hydrogen atoms. Carbon has a molecular weight of 12 and hydrogen has a molecular weight of 1, so octane has a total molecular weight of 114 (8 x 12 + 18 x 1). Oxygen has a molecular weight of 16, so CO2 has a total molecular weight of 44 (12 + 16 + 16). Every molecule of octane makes 8 molecules of CO2, with a total molecular weight of 352 (44 x 8). Et voila! All it takes to convert one gallon of gas into 20-ish pounds of carbon dioxide is some highly confusing algebra! Gas doesn’t burn 100% cleanly. You also get some carbon monoxide and other nasty stuff coming out of your tailpipe. But that doesn’t really affect our math very much. The official World Resources Institute conversion rate that we use in our carbon calculator is 19.564 pounds of CO2 per gallon of gasoline. Although we round this number to 20 pounds when we speak informally of the amount of carbon dioxide from one gallon of gasoline, all of our online calculators use the more precise figures. Also, bear in mind that the 19.564 pounds of CO2 are just the direct result of burning gasoline. The process of extracting, refining, and transporting the product adds an extra few pounds per gallon to the actual environmental impact of filling your gas tank. Finally, your exhaust is quite a bit heavier if you count the steam that is generated. Those 16 hydrogen atoms attached to every octane molecule have to go somewhere. They combine with oxygen to create water (H2O). Every gallon of gas creates roughly 8 pounds of water vapor. And water vapor is, believe it or not, a greenhouse gas, although not one we generally concern ourselves with, for a variety of reasons. Update: Fixed a math typo, corrected the number of hydrogen atoms in octane, and changed the headline to reflect more clearly that the gasoline is turned into carbon dioxide, not carbon. Also clarified the statement about water vapor. Thank you to our many sharp-eyed readers." 2013 Nissan Leaf: Efficiency Up 15 Percent To 115 MPGe From 99 MPGe: "The 2013 Leaf is rated at 130 MPGe on the EPA city cycle and 102 MPGe on the highway cycle, for a combined rating of 115 MPGe. The 2011 and 2012 models, by contrast, were rated at 106 MPGe city, 92 MPGe highway, and 99 MPGe combined. The one piece of information that remains missing, however, is the EPA rating for the 2013 Leaf's electric range. Nissan's website says only, "The average American drives less than 29 miles per day. The Nissan Leaf can get you much farther on a single charge.""